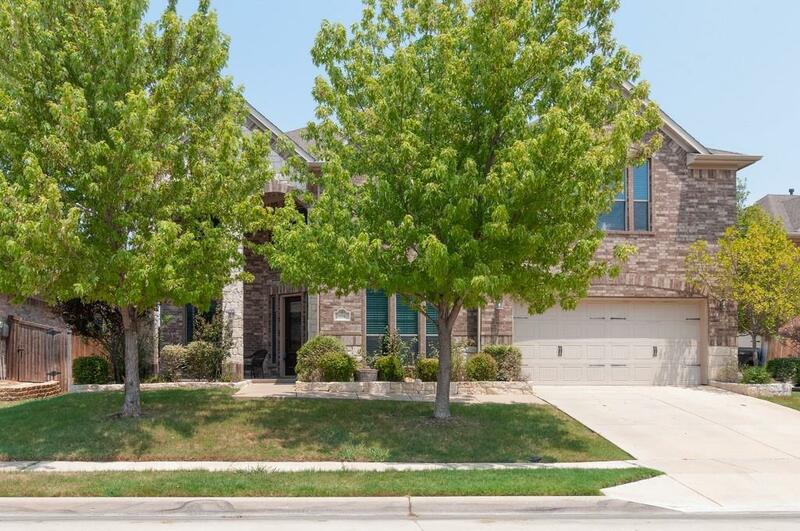 Executive 2-story, 4205 sq ft with 4 Bedrms, 4.5 Baths & 5 Living Areas that includes a Large Media Room with wet bar, Living Room, Study, Family Room & a Music-Flex Room. Cul-de-sac street. This home is for the family wanting a spacious home & a fabulous Backyard Oasis to enjoy entertaining large groups of family & friends. Lg Pool, with Outdoor Kitchen includes Egg Bar-B-Q grill, separate Fire Pit & spacious eating areas. Home features many upgrades: Exquisite wood-finish cabinets, open granite kitchen with grand island Breakfast Bar, recessed cabinet lighting, wood-burning stone fireplace, & Austin-stone front porch entry. Master down with exquisite, Bath, & 3 bedrooms up. Quick Possession Possible!